We believe in restoring and maintaining good health by strengthening the body's own healing power to prevent disease and overcome chronic illnesses. We strive to identify the root cause and treat you rather than just your symptoms. Our practitioners create personalized treatment plans based on your history as well as results from specialized diagnostic testing. We practice integrative medicine by combining the best of conventional medicine, alternative therapies, nutritional supplements, and lifestyle changes. We offer various treatment modalities including functional medicine, holistic nutrition, acupuncture, homeopathy and Infrared Sauna in a warm, welcoming environment. Are you ready to experience what thousands of other patients have experienced at Rose Wellness Center - a doctor's office that understands how important your time is, how important your health is, and works hand in hand with you throughout your healing journey to optimum health and well-being. Call us at (571)529-6699 or fill the contact form to get started. and a supporting staff that is committed to your well-being. They have many years of experience in holistic and integrative care and a reputation for excellent patient care. Specialization – Functional Medicine, Holistic Medicine, Bioidentical Hormone Replacement Therapy (BHRT), Women’s Health, Chronic illnesses such as Hypothyroidism, Fibromyalgia and Chronic Fatigue, Integrative Care. Dr. Sushma Hirani specializes in functional medicine to help you find the root cause for your illness, not just treat your symptoms. She believes in treating the patient as a whole (body, mind, and soul) and places a strong emphasis on preventive care, nutrition, and lifestyle changes. Dr Hirani focuses on treating chronic issues such as hypothyroidism, fibromyalgia and chronic fatigue, hormonal imbalances, adrenal fatigue, digestive disorders and chronic pain using a functional medicine approach. She believes in restoring and maintaining good health by strengthening the body’s own healing power to overcome chronic illnesses. She has a special interest in women’s healthcare and is committed to working with her patients at their own pace helping them attain their optimal health goals. Dr. Hirani promotes an integrative approach to healing by incorporating multiple modalities including nutrition, acupuncture, homeopathic care, and infrared sauna. She creates a personalized treatment plan for each patient depending on their health and family history and the results of their specialty lab tests. "I live in Fairfax county with my loving husband, two beautiful children, and an adorable fluffy cotton. Spending time with my family is my passion and caring for my patients is my mission. Our health is our most valuable possession and asset, important in all its dimensions – physical, mental, and emotional. It is with great honor that I serve you, and feel privileged that you considered me as your doctor to help you achieve your optimal health. I look for the root cause and focus my efforts on treating it. I believe in restoring and maintaining good health by strengthening the body’s own healing power to overcome chronic illnesses. It is a fulfilling experience to be in charge of your own health, and I will try to help you explore your power to do so. I am committed to working with you at your own pace and will try my best to fulfill the trust that you have put in me for your care. Good luck on your journey to optimal wellness! Specialization – Functional Medicine, Chronic pain syndromes including musculoskeletal problems, Men’s health, Bioidentical Hormone Replacement Therapy for men and women, Hypothyroidism, Chronic medical conditions including Hypothyroidism, Fibromyalgia, Gastrointestinal disorders, Allergic disorders. Dr. Alex Leon is a board-certified family physician specializing in integrative functional medicine for the entire family and helps to restore and maintain your well-being. His comprehensive approach includes utilizing the functional medicine matrix, reviewing your health issues, and developing a collaborative plan for further testing and interventions including lifestyle enhancements. He has a special interest in men’s health care and chronic musculoskeletal problems. He treats women and children too. Dr. Leon collaborates with other practitioners for nutritional counseling, body work including functional chiropractic, energy work including acupuncture/OCM, and spiritual counseling. Ready to have a consultation with Dr. Alex Leon, our integrative family medicine physician. Please call us at (571)529-6699 and talk to our wellness coordinators. Education – Masters of Science in Nutrition and Integrative Health, Maryland University of Integrative Health, Laurel, MD. Specialization – Integrative Nutrition, Wellness Plans, Diabetes, Metabolic Syndrome, Food Sensitivities, Gastrointestinal Health, Autoimmunity, Natural Bio Identical Hormone Replacement Therapy (men and women), and other metabolic complications. 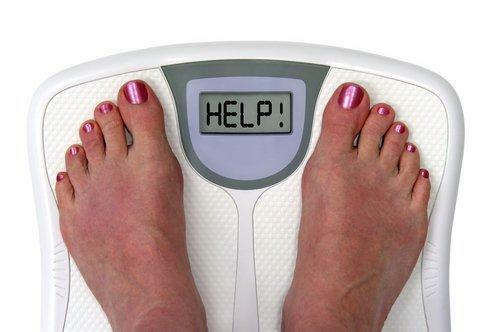 “For a couple of decades, I have struggled with increasing weight gain. Every attempt at weight loss, and there have been many, failed. You name it I tried it. About four months ago I ran into a friend who I hadn’t seen in a good while. I was amazed to see that she had lost well over 100 pounds if not more. It was through her testimony about your weight loss plan that I felt compelled to schedule an appointment. Of course, I was skeptical at the time. But after 4 months I have lost almost 50 pounds, 4 dress sizes and I feel amazing. I hate to call this a weight loss plan as what I have discovered is a whole new way of life. The nutrition plan couple with the knowledgeable, loving and encouraging accountability of Elizabeth McMillan, has changed my life as well as my thought process not to mention spending habits when grocery shopping. This is the first plan that I truly feel is something I can apply to my life each and everyday. It is doable, manageable, affordable, educational and life transforming.” – Kathy B “There are no words to express the gratitude I feel for all that Elizabeth has done for me. Her protocol for treating Lyme disease and its complications works. I have made huge progress on my road to healing, thanks to her knowledge and expertise. I appreciate the time she takes for her clients, finding the answers to our questions. Thanks, Elizabeth, and God bless you.” – Sarah “I’m a 38 year old single mom. I noticed over the last year or so I was getting more anxious, more panicky about every day life. I was losing energy, I was getting tired, very tired but couldn’t sleep. I wore myself thin. I started losing my hair, I started having joint pain so badly I just stayed in bed. I was a emotionally wreck. I cried for days, about everything. I visited my medical doctor for the last year or so and never found answers. She informed me that I would just need to get used to living my life with anxiety. It’s all in my head. And suggested antidepressants. Which I never took, reading the side effects give me more anxiety then I could handle. Some side effects were deadly. I prayed for God to please give me wisdom, I prayed often. I had a very supportive family and church. My friend introduced me to Elizabeth McMillan. She was the wisdom I had prayed for. At my first appointment I was heard, I felt like a person not a number, I felt understood. I had answers. I was encouraged and I was thankful. I’ve been blessed in many ways by McMillan. I want to personally thank you for being real. Thank you for listening when I needed help. Today my anxiety is gone, and feel great! God is so Good!! !” – Betsy K. Ready to have a consultation with Elizabeth McMillan, MS, our certified clinical nutritionist. Please call us at (571)529-6699 and talk to our wellness coordinators. Specialization - Doctor of Classical Homeopathy from Hanneman Academy of North America. He also provides homeopathy flu vaccine and International travelers kits. Michael Liss has over 30 Years’ of experience treating illnesses and severe chronic health issues. If you are receptive to natural holistic approaches to treat your emotional and physical health issues, then Michael Liss is here to help your entire family. He uses homeopathic remedies and natural nutritional supplements that get to the root cause of your illness. Michael Liss has over 30 years experience treating illness and severe chronic health challenges from Autism to vaccine toxicity. Ready to have a consultation with Michael Liss, our classical homeopathy specialist? Please call us at (571)529-6699 and talk to our wellness coordinators. Virginia Mitchell is board certified in acupuncture by the National Certification Commission for Acupuncture and Oriental Medicine (NCCAOM) and holds the third license granted by the state of Virginia to practice acupuncture. She is also a trained massage therapist focusing on acupressure and zero balancing. Complementing her body-mind studies, Virginia completed a two-year program in spiritual direction through the Shalem Institute in Washington, DC, in 1989. Growing up in Alabama, in a family of doctors, Virginia always knew the value of good medical care. It wasn’t until she experienced acupuncture that she found a form of medicine that fit her gifts and personality. Training in Battlefield Acupuncture has helped her reduce pain for clients where nothing else has worked. Looking for help with pain relief, stress reduction, fertility issues, or other acupuncture services, call us at 571-529-6699. Dominique specializes in Thermography scans. Digital Infrared Thermal Imaging (DITI) or Thermography is a non-invasive diagnostic technique that creates images that illustrate heat patterns in the body. The thermal images are analyzed for abnormalities which may be signs of disease. Thermal imaging is painless, non-invasive, does not involve any compression, and emits no radiation.